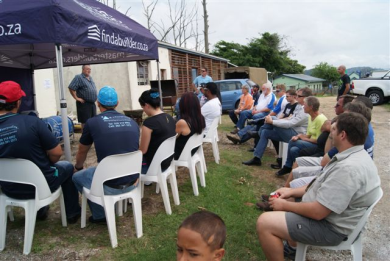 Master Builders KwaZulu-Natal South Coast Region has for several years now been taking on an annual community initiative, aimed at supporting a non-profit charity cause in need of a built structure or renovations to an existing structure. Their latest project is to assist those residing at Reinhardt's Place in Pumula, on KwaZulu-Natal’s South Coast near to Umzumbe. Reinhardt's is a registered welfare organisation that attends to the needs of the mentally challenged. Many of its occupants are young people from the local area and maintaining the overheads for such an establishment is always going to prove challenging. Their electricity bill at present is considerably high and heat pumps are to be installed to assist with consumption. To ensure that the beneficiary does not incur costs, it will be seen to that all labour apparatus gets donated. Well done to our South Coast members for taking the time to improve the lives of others.